Two years ago, my wife Kellie and I planted a few sunflower seeds in the front of our condo. Thinking I was going to work up a sweat digging into the ground, I was disappointed to learn that they only required an inch or two of soil to grow. Adding fertilizer in the early stages provided them with strong roots. Blazing sunlight that would ordinarily scorch a flower was just right for the appropriately named sunflowers. Daily watering also nourished the flowers and allowed them to grow tall. The death of the seed allowed the flower to come to life. Like growing sunflowers, things in God’s economy occur in stages. In Genesis, God interacts with a man named Abram. He tells Abram to leave his family and travel to a land that He will show him. Over several years, God reveals His plans to Abram. Ultimately, God changes his name from Abram to Abraham. God then discloses that Abraham will be the father of many nations. The life and death of Jesus Christ ultimately fulfilled this promise. Every person ever born bears the mark of original sin committed by Adam and Eve. Jesus, however, was conceived by the Holy Spirit. As a result, He was born free from that original sin. He lived a perfect, sinless life and fulfilled all of the requirements of the Jewish law. Jesus took the punishment for our sins and shed His blood to cover them. He was buried in a tomb and raised to new life. 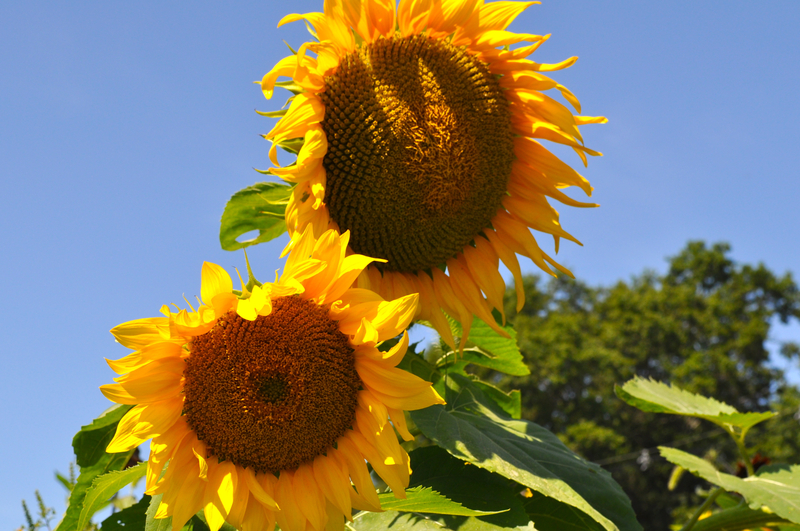 Like a sunflower seed, His death and resurrection transformed Jesus into new creation. If our heart’s desire is to become more like Jesus, we must die to our former selves. Who we once were is symbolically buried. The Word of God fertilizes the soil of our hearts, giving us strong roots. The light of God’s love causes darkness to flee and nourishes our souls. Jesus the living water sustains us and helps us grow tall in our faith. These things bring incredible transformation to our lives. Father, I thank you that you love us too much to leave us alone. Your heart’s desire is to mold and shape us into the image of your Son Jesus. Take away the fear of dying to self and give us a glimpse of the men and women you know we will become. As a loving gardener, remove the weeds in our lives and feed us with the wisdom of your Word. Like a sunflower, help us to stand tall in our faith so that the world will see all of the amazing things you have done in and through us. Amen. A friend found it hard to explain what made our getaway destination, The Little Stone Cottage, such a magical place and she was right. 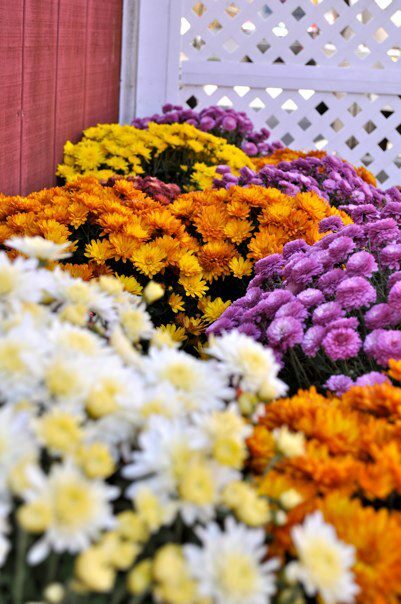 It was a feast for the eyes taking in the everyday life in the Heart of the Pennsylvania Dutch Country—from watching farmers plowing, driving horse-drawn buggies, or a youngster speeding along on his bike sized scooter—we were catapulted back in time to simpler living that abound with God’s beauty. Arriving at the cottage, rockers beckoned us to take a seat on the front porch framed by a cornucopia of vivid flowering plants. We inhaled the beauty, cognizant that loving hands prepared the display. Entering the living area soft music and an autumn tinged potpourri awakened our senses. It took a minute to take it all in, but by the time our eyes reunited we felt overwhelmingly welcomed. Stretching his legs, my husband settled on the sofa, weary from the long drive, but I felt more adventurous. A red rose petal path caught my eye. “Red rose petals?” I thought. “This certainly was not the Holiday Inn.” What seemed simultaneously romantic and silly I followed this velvety trail as it wound its way in a heart-shaped end atop our bedspread. The nuance of romance was palatable. On the private deck was a hot tub for relaxation, overlooking an area with a small pond and a swing. With a light breeze on my face, I closed my eyes for a moment and I was again a young girl, swinging freely without a care in the world. Everything from the décor, the library of books, the well thought out amenities made The Little Stone Cottage was a place that encapsulated the joys and celebration of our marriage covenant. We felt pampered and rejuvenated. This is a holy place as it honors the marriage covenant for all couples, no matter what season of life their marriage finds them. As a planting of the Lord set within the hearts of a Mennonite, it safely plants the seeds of recommitted love that hold the hope for a bountiful harvest of blessings for each couple. Sometimes all married couples need to return to a simpler time in their relationship—away from life’s distractions where they can relax, rejuvenate, and recommit themselves to one another and their relationship to the Lord—no matter what season they find themselves. 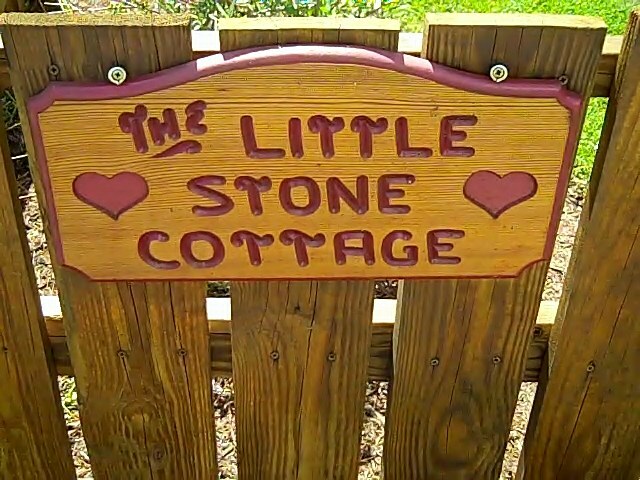 The Little Stone Cottage was just one place we found to do just that–a place where we were reminded of the simpler ways–God’s ways. Lord, thank you for planting the vision for such a lovely ministry to married couples within this couple. Bless the marriages represented in our readership, represented by The Little Stone Cottage and renew our covenants not only with one another, but with you as Lord of our marriages and family. May there be a great harvest and renewal within the families as we seek to honor you in our marriages. Amen. Most people love this time of year. The air turns cool and crisp as the colors on the trees transform into the bold colors of Fall. We break out our scarves and head to our small town fairs. Kids are back in school and everyday routines start-up again. Everyone rejoices because once again Starbucks begins to sell pumpkin spice everything. Now I enjoy the autumn season as much as the next New Englander, but I must say that it has taken me some time to that point. In my eyes fall is beautiful, but a constant reminder that summer is over and the frigid cold of winter was soon on it’s way. How often do we do that in our faith journey? We try so hard to stay where we are because it’s comfortable and familiar. We focus on a season that has since passed that we can miss what the Lord has for us next. To go beyond that we begin to focus on a season that has not yet arrived and miss the one that we are in. It’s not always easy to move on from something that seems so good. It might even be more difficult to embrace the new place you’re in if you dread what’s next. As believers we have the opportunity to be one hundred percent at peace where God has us right now. We remain thankful for what He is done in the past, rest in the knowledge that He has more in store for us, and have confidence that He remains with us now and forevermore. Maybe for you this season is all about change. Embrace it. It could be about letting go of something so good for something better. Trust Him. Whatever it is for you, be encouraged to enjoy where He has you. I’m no farmer. It’s from the sterile displays at Stop & Shop I get my fruits and vegetables. I understand in theory that my tomatoes come from a tiny seed, which shoots up a long twisty vine, which eventually produces tiny green bulbs that expand into larger green fruit, which in time turns red and juicy and delicious. And all of this happens over the course of five or six months, from spring into the late summer and early fall. I get that in theory. But when I want a tomato for BLT’s, all I do is hop in my car, drive a mile and a half up the street, and grab my fill of plump ‘maters in the produce section of the grocery. I’m back home within 20 minutes. And I can do this any time of year. In the sweltering heat of August or in the icy misery of February, I can still claim my ripe tomatoes. How this is even a possibility I neither know nor care to investigate. Here’s another thing I don’t understand: Abraham’s agonizingly long faith journey. In Genesis 12, Abraham hears God telling him that he will become a great nation (v. 2). This implies that he will possess (1) a sizable tract of land on which to house this nation, (2) a good deal of wealth with which to run this nation, and (3) innumerable descendants to populate the nation. All Abraham has to do (at first) is leave his homeland and head toward the foreign place that God will show him (Gen. 12:1). Abraham obeys in faith and begins his journey. It seems as though the wealth part of the promise came fairly quickly to Abraham, since he’s already quite rich as the next chapter begins (Gen. 13:2). But several years into the journey he remains both childless and deed-less. In fact, by the time Abraham dies, the wealth is still nearly all that he has. Genesis 25:7 reports that Abraham lived to the age of 175, which means he lived a full 100 years after God promised to make him into a great nation. To that date, however, Abraham had just one son that counted (Abraham had eight sons in all, but sent seven away from his household. See Gen. 21:14; 25:6.) and a small plot of land he purchased in order to bury his beloved Sarah (Gen. 23:17-20). That’s it. This all seems to me a far cry from the original promise given to Abraham and potentially demoralizing. Ugh! Why am I so frustrated by Abraham’s eternal journey of faith? Because: Stop & Shop. Any other fool from any other time in the history of the world would know, as in experience, the painfully slow and mysterious process of planting, done in the spring, and (wait for it…) harvesting, done so much very later in the fall. That’s right, it takes months and months to grow tomatoes, not 20 minutes. All vegetables and fruits (and for that matter hunting and fishing) take time. Lots and lots of time. Faith is no different. Faith gets planted with a promise from the Lord and a positive step of obedience in response. But night and day, whether you sleep or get up, the seed sprouts and grows, though you do not know how. Seemingly “all by itself the soil produces grain–first the stalk, then the head, then the full kernel in the head” (Mark 4:28). And then eventually, rest assured, a harvest will come. To be sure, you may not end up being the one eating the fruit of your own faithful actions, but someone will. Someone is going to benefit from your seeds of faith. It just may take a while. Buried under the surface of the earth are millions of lost treasures. The treasures, though highly valuable, are hidden in dirt and not recognizable, not even they understand what they are. 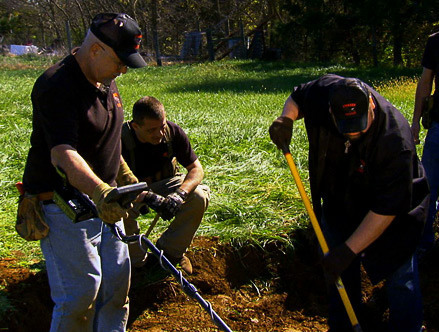 Treasure hunters dig with picks and shovels, yet the beauty of the treasure is not revealed; all they accomplish is exposing the treasures’ brokenness and damage. These treasures are made from heavenly substance and can only be activated by heaven’s methods. The treasure hunters weep because their tools and efforts have failed. In desperation, they put down their picks and shovels and call out to the treasure. They speak to these lifeless objects calling them priceless treasures. At the sound of this strange news the treasures stir, awaken; something ancient and supposedly lost forever. Out of the dirt they arise and move toward the One who calls them treasures. The earth breaks away and they disturb the ground beneath them. Other broken treasures feel the movement and change. Hope arises under the earth and entire land masses ripple as a domino effect causes countless treasures to awaken and be reclaimed. Isaiah 60:3-6 says, “Nations will come to your light, and kings to the brightness of your dawn.” It goes on to describe the peoples of the nations as the riches of the earth. God’s treasures are people – great and small, broken and whole. They are so valuable to God that He gave His own Son to reclaim them. Once reclaimed we become the treasure hunters. If we try to find lost treasure by picking away, exposing and trying to remove their sin they will simply remain broken treasure. Human methods to reclaim lost souls are useless. Heaven’s way is simply to reveal truth. Lost treasures are blind to the truth of who they are. Their incredible worth must be revealed to them. This is the truth that they do not know. We are the reconcilers, we are the ones who call out to them and reveal who they are. We are called reconcilers- not sin exposers. In the story of the adulterous woman, the religious were sin exposers- they thought God’s work was uncovering her sin – this brought death. Jesus used heaven’s way; uncovered her treasure by speaking forgiveness over her, revealing the wholeness He brings. His words bring freedom and releases her into the woman God intended. As lost treasure discerns the hope of their identity and call, they can rise up and sin will fall off them. The ministry of reconciliation calls out to the deepest longing in people and reveals who they really are; the treasures of the nations! This is NEW news to the lost, even in our generation! They already know the obvious about themselves without us pointing it out. They need NEW news – the original ‘good news’ that tells them the best news – the crazy, ridiculous truth- that instead of counting their sins against them, God gave Jesus to restore them, His treasure! As hearts respond they are reconciled to God. Reconciled people change and so does the atmosphere around them. They’re contagious and whole communities, schools, cities and nations can be reconciled this way. Ask the Holy Spirit to reveal treasure about people and call those things out in them. Take time to listen to Him and take the courage to speak life to people, calling out God’s destiny over your friends and acquaintances.